Ethos, a Greek word associated with a person’s core values, defines one’s professional activity as well. 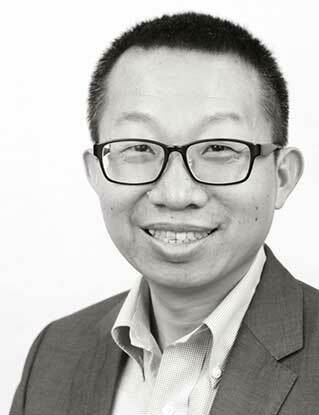 George Hong, founder of China-based domain brokerage, Guta.com, won the Escrow.com award for best domain broker, last year. The award was presented during NamesCon 2017, and with this year’s NamesCon conference approaching fast, George Hong made a stunning announcement: he would like to be excluded from future nominations. One year ago today, I became the first place winner of the inaugural Escrow.com Masters of Domains Awards. Nine years ago this month, I registered twitter handler: DomainMaster. What a coincidence! Winning the award was one of my proudest moments in my domain brokerage career. I had requested Escrow.com to remove my name from future award nominations for the following reason. Guta has grown. We now have 7 full time domain name brokers all working together to serve our clients. We are building a successful team culture and I don’t feel comfortable receiving future nominations for individual awards. There is no physical trophy, but rather, our profound appreciation for his character, and for his solid commitment to the worldwide domain investor community. George Hong has tons of respect from me for his selfless characteristics and establishing his Guta.com as a team, rather than taking all credit since he started Guta. So many in tbis industry tooting their own horn while relying on help from many. This is rare and should be acknowledged. George, you are the man!!! I’ve worked with George on numerous occasions and all my interactions with him have been excellent. He strives to find opportunties for mutual gain which is something many say but fewer actually do in practice. I believe this is why he has been successful and will continue to see his business grow. A true Gentleman with tons of respect.